If you’re entering your golden age, it may be hard to navigate your everyday life. Your mind may be sharp as a tack, but mobility loss is natural and happens to the best of us. Will you remember to take your pills? What if you fall down the stairs? Luckily, help is available in the form of home care services. The Ontario Health Insurance Plan (OHIP) is available to all Canadian citizens and permanent residents as long as they make their primary residence in Ontario. You may have and older, red and white version of the OHIP card (without a photo). This card is still valid in the province and it is important to keep it with you at all times in case of emergency. Your Ontario Health Insurance Plan pays for basic medical services (non-cosmetic, life threating or otherwise). If you require assistance due to illness or injury, you can have a health care professional visit you at home to help dress bandages, monitor medication, provide general care for your wounds, ensure you’re getting enough food/nutrients, and similar responsibilities. You can have a nurse come to your house for a few hours or for an entire day and night. It depends on the severity of your condition/illness and how much mobility you’ve lost. A caregiver can help you with everyday activities like bathing, dressing, toileting, eating, and driving you to appointments. These kinds of services include grocery shopping, preparing meals, cleaning and making sure your bills are paid on time. Homemaking professionals are generally not trained nurses or caregivers, so this service is usually coupled with personal care. The Ontario Ministry of Health covers physiotherapy services for people who are 65 and older. As we age, it is not uncommon to use the services of a physiotherapist. Besides mobility loss, we may need help with our balance and walking skills in the event of a stroke. This service is mostly for people who’ve suffered a stroke and require help regaining basic language and speaking skills. If you have private insurance or are under 65 years old, you may not be eligible for government/OHIP home care services. If you’re unsure what services you need or have questions about eldercare, please contact us. 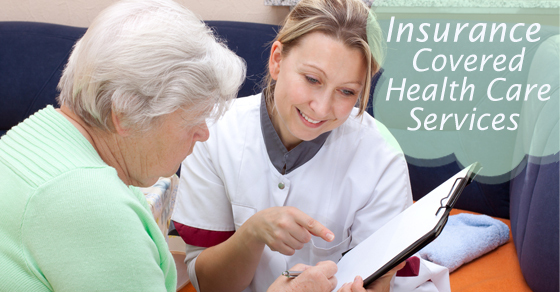 At C-Care Health Services, our aim is to make seniors feel at ease about their future and the care that goes with. So I assume a PSW is covered after age 65 then under the personal care category as mentioned above? My wife is currently 63 but she has someone come in twice a week through the nursing registry here but she will be 65 September 1st 2020.